This Christmas I would like to offer you a special. A two for one blessing or gift! 1 A special for you. 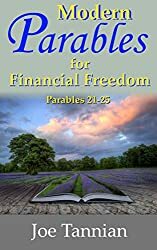 For the next several days of early December I want to offer you the Kindle edition of Modern Parables, all 25 stories for only 99 pennies. 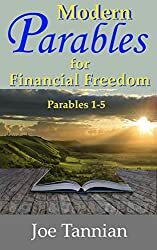 This book could possibly help you live a wiser life financially while entertaining you with stories that will engage your heart and mind. 2 A special for others. 100% of my all my proceeds between December 1st and Christmas will be donated to a charity. That’s right all my royalties will be given to others. It’s really your gift to people who need a bit of help. Consider buying a print copy as a gift! It’s under $10 and it will bless someone in need. 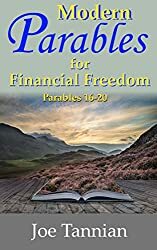 Just click here to order from Amazon! Excellent Short Stories about Stewardship. 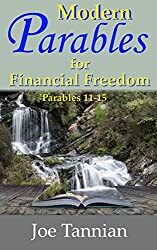 This book is a treasure I will be sharing with many others. . This book inspired me to think about my own priorities and the value I put on material things. This collection of short powerful stories stimulates both the mind and heart. 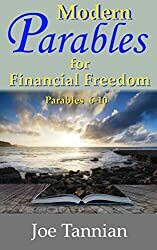 Parables about greater freedoms than just financial ones. Go ahead and click the link above, help yourself and others.